One of the (few) things I did during February was organise my bookshelves. Despite me buying most of my books in e nowadays, I somehow still have piles of books stacked haphazardly here, there, everywhere. Which meant I was running out of space, and so during a rainy afternoon, I made an attempt at organisation. I say attempt, because, well, it’s not easy. I’m not one of those people who need to have all the books in a series in the same format. I’m a bit too much of an impatient reader – basically I just go for the format that’s available the soonest. So I happily have US and UK releases, hardbacks and paperbacks (and ebooks) in the same series (yes, I’m talking about you, Mercy Thompson). But when shelving my books, this means I can’t do everything by series/author because of the different-sized books (okay, I could, but what a waste of bookshelf real estate!). However, I still want to make it easy for me to find whatever books I want quickly, so I try to shelve broadly by genre – romance, mystery, fantasy, SF – if possible. But then there’s also a bit of an instinctive grouping happening. So my Lois McMaster Bujold SF hardcovers are next to those Elizabeth Peters‘ Amelia Peabody mysteries I have in hardcover as well – different genres, but with protagonists that somehow strike me as very similar. Next to Amelia Peabody are my Janet Evanovich Stephanie Plum mysteries (the few ones I bought in hardcover, before I started borrowing them from my library) and then my Lisa Lutz books – both offbeat contemporary mystery series, though quite different in style. My paperback Elizabeth Peters mysteries are shelved separately – I have them with her romantic suspense books written under her Barbara Michaels pseudonym, which are in turn next to my collection of Mary Stewart paperbacks, because again, they have a similar feel. I’m toying with adding my Susanna Kearsleys to that shelf as well. I have my Juliet Marillier hardcovers with Sharon Shinn‘s Twelve Houses and Elemental Blessings books as neighbours (and hey look, Goodreads has the the cover for the third book in the series, JEWELED FIRE!). My smaller Shinn hardcovers (which tend to be more YA in feel) are with my Kristin Cashore books, a couple of Tamora Pierce hardbacks, and the two Cecelia and Kate books I have in hardcover. I’d love to hear how you shelve your books (or how you’d like to – if I had a whole wall of shelves, I’d totally follow Angie’s example and do this)! Non-book related link: This post (and comments) totally cracked me up. November hasn’t been a fantastic reading month for me. More because I’ve been distracted with so many other things, which means I’ve not really been able to sit down and finish a book in a single sitting. I’ve just finished Catherine Asaro‘s UNDERCITY, which is technically a December release, but Baen releases the ebook edition on its own website a couple of weeks early. UNDERCITY is a spin-off of her main Skolian Empire series – same universe, different characters, and set fairly early in the overall series timeline, I think. The first part of the book is actually a novella (“The City of Cries”) written back in 2005. I didn’t realise that until a good way in, and I’m not entirely sure using the novella as part of this book was a good decision as I thought its age showed. Hard for me to pinpoint exactly why – perhaps it was that the world-building felt somewhat old-fashioned? It’s funny how some stories date so quickly, while others don’t. The story picked up once we moved to the more recently-written section of the book, and I was impressed by how she spun out additional story threads from the original novella. 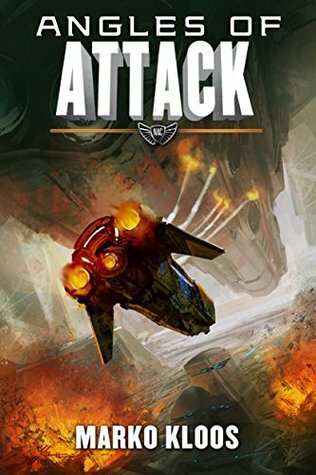 Overall though, I have to say this was not a particularly exciting nor innovative SF novel – a decent mystery/adventure, yes, but it’s a story I’ve read before. It made me realise that my fondness for her books is very much because of the emotional investment I have in the original Skolian Imperialate characters (I gave the most recent “proper” Ruby Empire book 5 stars on Goodreads…), which I’ve been reading since way before I started blogging. Oh, and random fact: the first ebook I ever read was Catherine Asaro’s THE RUBY DICE on my now-retired Sony Reader. I also finished Tanya Huff‘s THE FUTURE FALLS. Well, to be honest, I finished it a while back, but hadn’t quite figured out how to talk about it. Partly because it’s one of her Gale Girls books, which is her kind-of-incestuous-if-you-squint-at-it fantasy series, what with family and magic and interfering aunties pairing up cousins left, right, and centre. But also because… that ending. Right, I did like TFF – okay, I really liked it – but I suspect a lot of it was because I read it with my romance hat on and therefore totally wallowed in Charlie and Jack’s star-crossed lovers situation all the way through. I didn’t completely get Charlie in the previous book, but was surprised with how much I bonded with her in this one. I loved the older woman-younger man dynamic as well (and Jack in his Dragon Prince guise was just plain adorable). But the ending – I had to read the final chapters several times because I had no idea what happened the first time round (was that just me?). However, the fact I took the trouble to re-read the ending should tell you how much I enjoyed the story. Because I really wanted to get it. And I did figure it out eventually… Now you see why I haven’t written about it before, right? It’s not often I’ve absolutely no idea what to blog about, but I’m struggling here. I suspect it’s partly because the ATP World Tour Finals tennis tournament took place in London last week. I’m normally all about the tennis, especially when we get tennis on the BBC. So that has distracted me somewhat, especially since the (ahem) WTF tournament lived up to its initials. Weird week, really. There were a lot of great match-ups on paper (as you’d expect with the top eight tennis players in the building), but the whole thing ended up being a bit of a damp squib, with some really one-sided matches in the round-robin section and a walkover in the final. And you’re obviously reading this blog because of the informed tennis commentary. Which leaves me with recent reads? I finished Juliet Marillier‘s DREAMER’S POOL. I thought it was a bit slow in the beginning – possibly as Marillier took her time weaving the strands together and I had no idea where it was going. So I found the book quite easy to put aside at first… until it suddenly wasn’t. Marillier’s a born storyteller, and once I got caught up in Blackthorn, Grim, and Oran’s world, I had to stay up late to see how their story would end. I think she’s previously written on the writers’ blog, Writers Unboxed, about the more technical aspects of writing, and it was interesting how she used both past/present tense and prose to create very distinct POVs for each of the narrators. Too often I find authors have interchangeable narrators, but this wasn’t the case here. Plot-wise, the mystery fan in me liked the whodunnit subplot and as for the resolution, I ended up second and third-guessing myself throughout. And oh, I liked Nathan’s review @ Fantasy Review Barn, which starts with “Once upon a time Juliet Marillier wrote a fairy tale and it was wonderful”. Very apt. Next up is either ML Brennan‘s TAINTED BLOOD or Meljean Brook‘s THE KRAKEN KING. Decisions, eh? The Book Smugglers published their first short story: “Hunting Monsters” by SL Huang. It’s a retelling of Red Riding Hood – I’m not usually into fairytale retellings, but this one was lovely. And the cover is striking (I love the colours) and fits the story perfectly. Excellent start to their publishing venture, IMO. The story’s free on their website, but they’re also publishing an ebook version with a couple of extras. Rachel Aaron (or Bach) posted a breakdown of her sales following her self-pubbed release of NICE DRAGONS FINISH LAST (which was a good one to try if you’re in the mood for a new urban fantasy). Some really interesting number-crunching and observations about Amazon. Does anyone read Joan Wolf? I’ve fond memories of her Regencies – there’s an interview with her at Word Wenches, and she mentions a new Regency, THE AMERICAN EARL, which is already out (on Amazon, anyway). I obviously bought it. Speaking of books I’ve bought – when I posted my take on 2014 new releases to date, I had a couple of comments about the fact I’d read most of the books I’d actually bought. Just to prove this isn’t the case, here are the books I’ve bought (or downloaded for free) over the past week or so. I know. Eileen Wilks‘ UNBINDING (UF): Well, it was on my October new releases post. I’ve finished this – mixed feelings really, not one of my favourites in the series. FIFTY FIRST TIMES, edited by Julie Cross (NA romance anthology): I don’t usually do romance short stories, you’ve read my thoughts on NA before… but it was only £0.99. Harlan Coben‘s THE WOODS (suspense): It was free (a UK-only offer, I think – and still free at Amazon as of today). I usually borrow his books from the library, but hey, free. Kelly Hunter‘s SYMPATHY FOR THE DEVIL (contemporary romance): This was meant to be released last month, but has just come out – $0.99 for the next week or so, if you’re interested. I love her writing, so this was a no-brainer. Carolyn Jewel‘s SCANDAL (historical romance): Courtesy of Dear Author’s Daily Deals posts – it’s free right now, and came recommended. Christina Dodd, Emily March, and Nicole Burnham‘s FAMILY SECRETS (contemporary romance): Courtesy of the same DA deals post – not free, but three full-length novels for $0.99. Yes, I do have a book-buying problem. I’ve enjoyed Christina Dodd’s books before, but the other two authors are new-to-me. Martha Wells‘ STORIES OF THE RAKSURA (fantasy): Oh. Did I mention I just glommed her Raksura fantasy trilogy, and LOVED it? I’ve been meaning to read this trilogy forever. Excellent world-building, and leaves you wanting to know everything and more about her characters. Also, I obviously timed this really well, as this brand-new collection of two novellas (and two existing shorts) in the same world was just released. She can write. Rosie Claverton‘s CODE RUNNER (mystery): The first book, BINARY WITNESS, was mentioned by Sunita @ Dear Author last month – I liked a lot about it (ex-con Jason was not your everyday mystery protagonist, technology was front and centre, and Cardiff came to life), and jumped on the second book. The conclusion? I’m a sucker for book deals and most of my impulse buys recs come from blog posts. Not surprising, really… tell me what triggers your book buying? The one regular feature that I have on this blog are the monthly posts listing the new releases on my radar (it counts as a feature even without a clever title, right?). I thought it would be interesting to have a look back at the year so far and see which ones I’d read, and how they stacked up. The books marked with an * are the ones I really liked, some additional comments in italics as well. All were 3-star reads in Goodreads terminology, i.e. I’m glad I read them, but while they were good installments in their respective series, they didn’t quite make it to my re-read/keeper shelf. Diana Wynne Jones & Ursula Jones‘ THE ISLANDS OF CHALDEA (MG fantasy): I did wait until the price dropped though. Worth reading – thought it was lots of fun, though the ending was a bit too tidy. Suzanne Brockmann‘s DO OR DIE (romantic suspense): I stalled midway – not yet an official DNF as I may still go back to it. Nothing was happening, really. Carla Kelly‘s THE WEDDING RING QUEST (historical romance): It’s a bit weird – I never feel an urge to read a Carla Kelly, but when I do get around to reading one, I wonder why I waited so long. Jim Butcher‘s SKIN GAME (UF): I had a feeling this wouldn’t be a re-read, hence the library reservation. Richelle Mead‘s THE IMMORTAL CROWN (fantasy? ): Couldn’t get into the story, may borrow again as I suspect it was more my mood. Seanan McGuire‘s SPARROW HILL ROAD (fantasy): I’ll wait until the mass-market paperback, I think. Nalini Singh‘s SHIELD OF WINTER (paranormal romance): I totally planned on buying this, then started seeing mixed reviews, and figured that I could wait on reading it. You can tell July was a good month for reading. Kelley Armstrong‘s VISIONS* (UF): I suspect I’ll be buying the next book. I… have been reading some really good books. I don’t even feel guilty (okay, I do, vaguely) about not putting up my August new releases post because I’ve just Been Reading. And now I’ve to gush talk about them, possibly slightly incoherently, but, well. First was a bit of a glom for new-to-me author Cinda Williams Chima. I’ve heard good things about her writing, and have had the first book of her Seven Realms YA fantasy series on my Kindle for ages. But I was never quite in the right mood for it – and still wasn’t really. It was just that I had a three hour train journey and wanted some fantasy. So I chose a book at random, and I’ll be honest – THE DEMON KING didn’t grab me from the start. I thought the first chapters were inclined towards over-exposition and was concerned that this would be fantasy dumbed-down for the teen market. The alternating POVs struck me as a rather tired narrative device, the characters felt a bit generic-fantasy archetype (the streetwise ex-thief turned good, the rebellious princess, etc etc…), and the dreaded love triangle threatened. I know. Thank goodness for that three-hour journey because I continued reading. And somehow I got sucked in. The characters grew up and became three-dimensional – I liked them, I rooted for them, and I wanted them to win through even though it felt impossible at times. The stakes for Raisa, Han, Dancer, Amon, Cat, and well, so many others, became higher over the course of the series and I was totally invested in the outcome. The romance (of course there was romance) was of the sort that came ever so slowly to the boil and was oh-so-satisfying. I surfaced from the world of the Seven Realms a while later, having gulped down the entire quartet in around three days. It’s the sort of series where midway through the final book, I almost didn’t want to finish it because that would have meant the story was over. So if you’re in the mood for fantasy with a healthy mix of court intrigue, magic, and romance, you could do worse than to check out this series. And I need to have a look at Cinda Williams Chima’s other series, obviously. 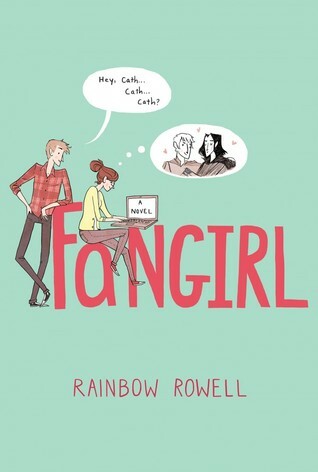 I finally caved and bought Rainbow Rowell‘s FANGIRL after the numerous fangirl (sorry) squeeing reviews about her books (and also because of the current bargain-ish price of £1.59 for the Kindle edition on Amazon UK). Plus I needed to switch genres as I suspected any other fantasy would pale compared to the Seven Realms books at the moment. *You may have noticed I’ve run out of inspiration when it comes to blog post titles.